Do you do flower delivery? 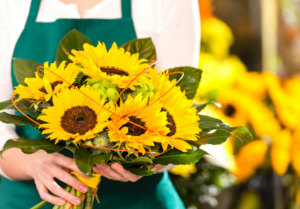 Albuquerque Florist offers Monday through Sunday delivery to the Albuquerque 87102, 87104, 87105, 87120, 87121, 87106, 87107, 87108, 87109, 87110, 87111, 87112, 87113, 87114, 87115, 87122, 87123, 87108, 87116, 87117, 87118 zip codes as well as nearby Alameda (87114), Corrales (87048), and Rio Rancho areas (87124 & 87144). Orders must be placed by 1:00 pm to guarantee “same day” delivery to some of our further zips. Do you deliver flowers out of town? If you need out of town flower delivery, we can help. Just place your order as usual and we can use our wire service to deliver your fresh flowers to cities around the country. Yes, we do. We also carry cards, candy, chocolate-dipped fruit and stuffed animals. Do you offer edible flower arrangements? Yes. Please visit another of our sister sites, Fruit Florals. There you can browse our fresh, delicious fruit floral bouquets, plus some of our other fresh fruit goodies. You can order right online! Do you call the recipient before you deliver? It is not our practice to call the recipient before we deliver unless the client specifically requests we do so. What happens if the recipient isn’t at home when you deliver the flowers? If the driver attempts delivery and the recipient is not home, the driver can do one of several things. He can attempt to contact the recipient by telephone if a daytime number has been provided. He can leave the flowers with a neighbor and leave a notice on the recipient’s door. If none of these options is suitable, the driver can attempt to contact the sender to arrange for another delivery attempt. Flowers are never left where they can be exposed to excessive heat and sunlight, blown over, or stolen. Yes! In fact, we have a sister website, Aspire Floral, dedicated just to wedding flowers. 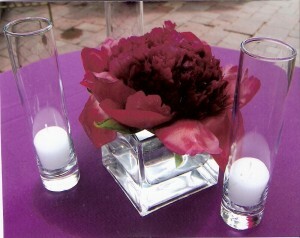 Please visit Aspire and contact us today to set up your free wedding flower consultation. Can you refer me to a good wedding photographer? Sure! We can recommend photographers and a variety of local wedding services. Visit our Wedding Vendors page at Aspire Floral. Some of our preferred vendors even offer special deals. Can you send me a bill for my purchases? We offer this service to select clients, including businesses. Please call for more information. (505) 888-3360. My flowers are dead! Will you replace them? Yes. 100 Satisfaction is our policy! We make every attempt to ensure that our flower arrangements arrive in beautiful condition and stay that way as long as possible. However, there are rare occasions when circumstances beyond our control lead us to send out flowers that do not last nearly as long as they should. In most cases, if you call within 1-2 days we will happily replace the arrangement for you.